Café＆Rotissrie LA COCORICO 11:00〜23:30(L.O. 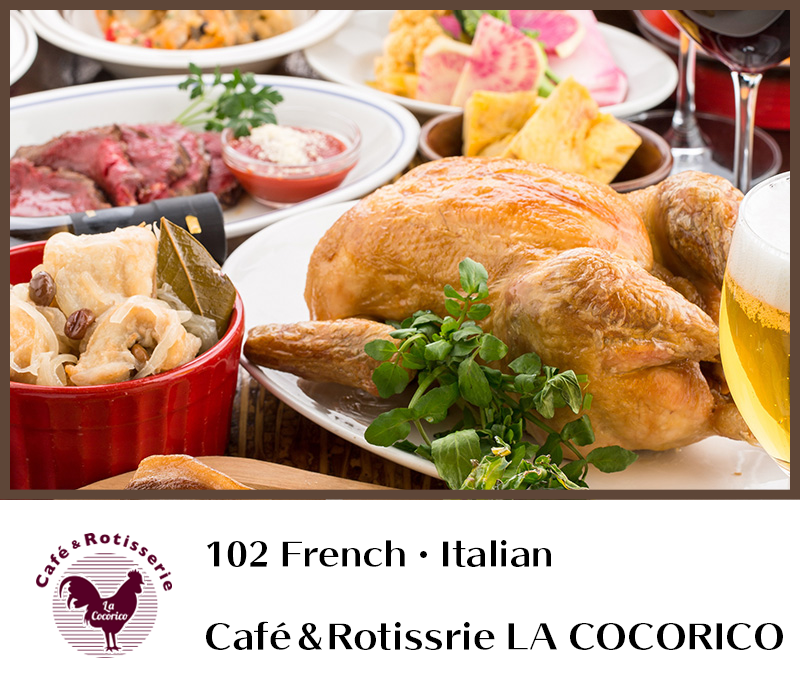 22:30) TEL.03-3834-9221 Famous for Rotisserie chicken, 5 kinds of barrels and Belgian beer. Please enjoy a provincial French with fresh and seasonal ingredients plainly and dynamically served in a natural modern atmosphere. 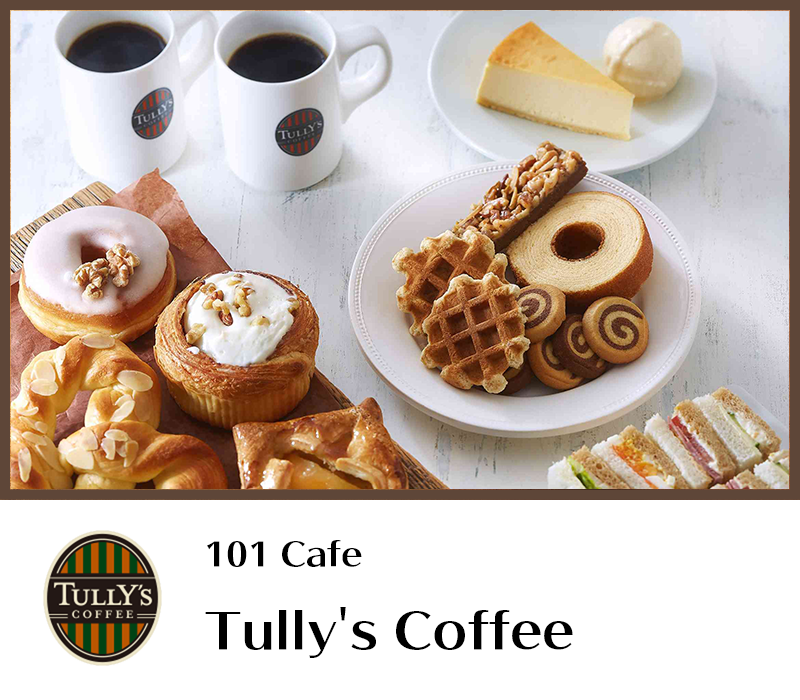 Hawaiian waffle Merengue 11:00〜22:00 TEL.03-3834-6271 Popular in Yokohama, fluffy pancake Merengue’s waffle specialty store opens in Tokyo for the fist time! If you try once, you’ll become addicted to the new crispy & puffy palatability of Hawaiian-style croissant waffles. Seasonally limited menus are coming up too! YEBISU BAR Monday - Friday11:00〜23:30(Food　L.O.22: 45 Drink LO 23: 00） TEL.03-5812-0226 The concept is “Mariage of Ebisu Beer and Cuisine" with a full lineup of Ebisu Beer. 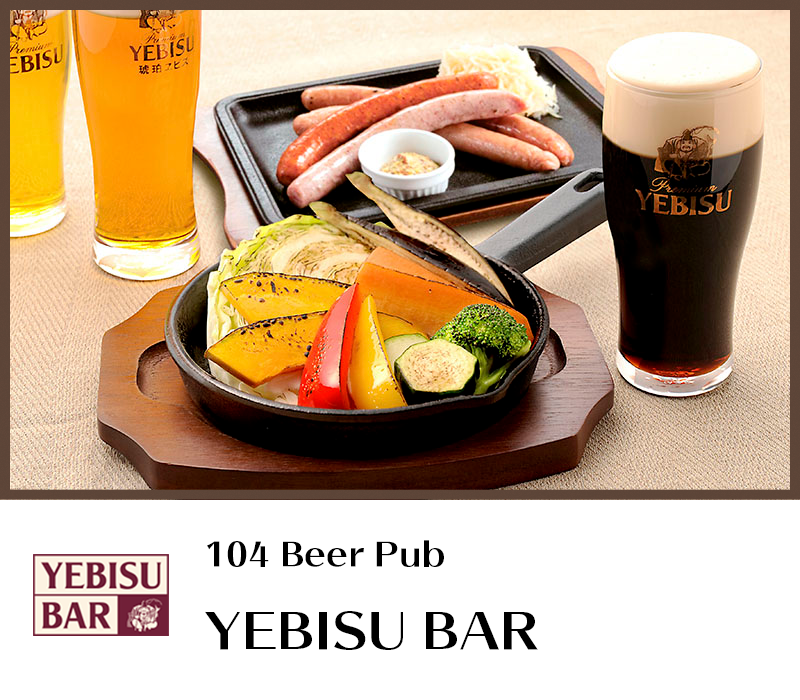 A beer bar where you can fully enjoy the charm of Ebisu at the whole store. 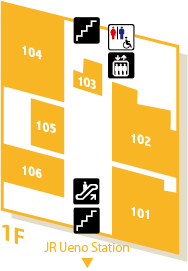 baskin-robbins 11:00〜21:00(L.O.20:30) TEL.03-5812-4831 The world's largest ice cream specialty store chain. 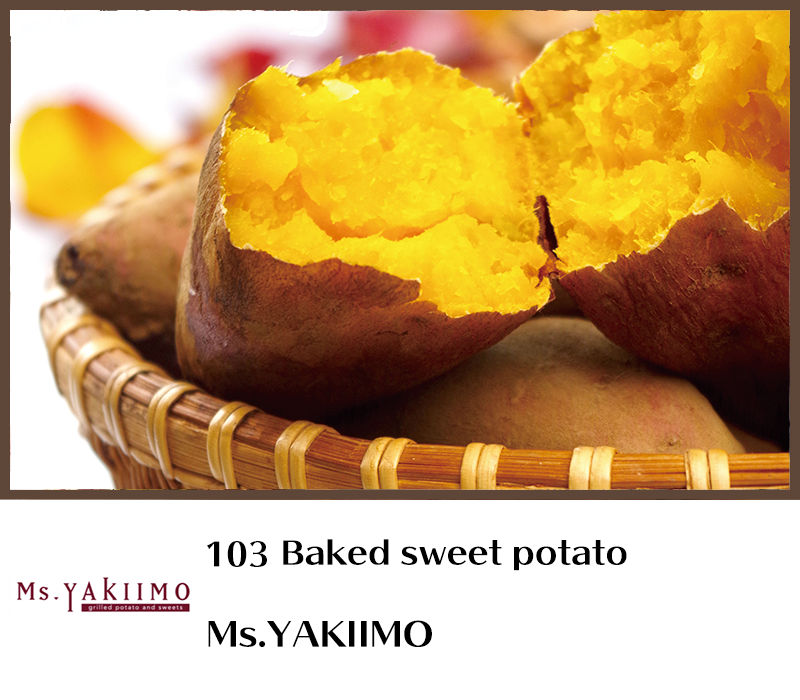 We have 31 kinds of ice cream everyday, seasonally selected from abundant types of flavor over 1000. 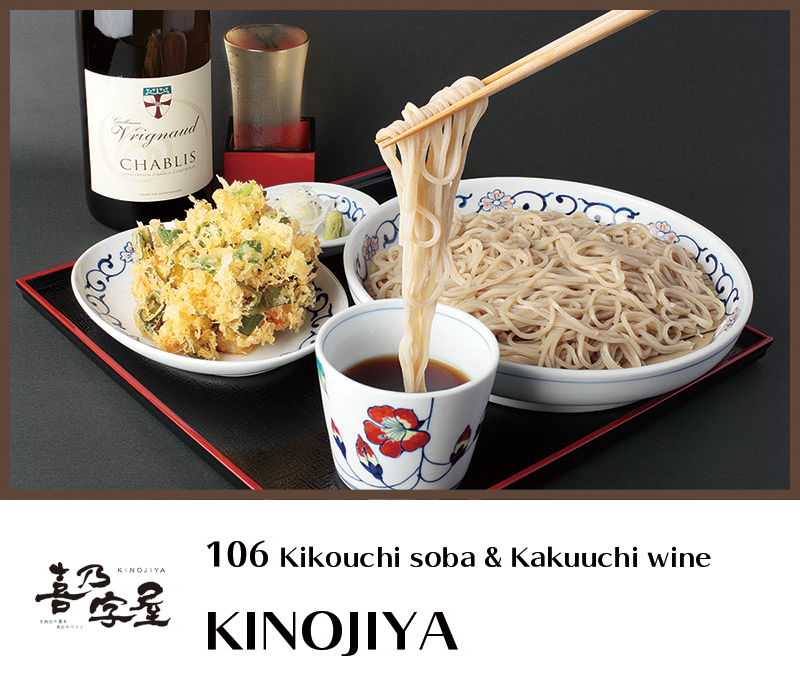 KINOJIYA 10:00〜23:30(L.O.23:00)Lunch until 17:00 TEL.03-6803-2808 Carefully selected Kitawase Soba from Hokkaido is used. You can enjoy various kinds of soba from traditional style to innovative soba with foie gras mousse. Standing style at night with Italian and French wine. 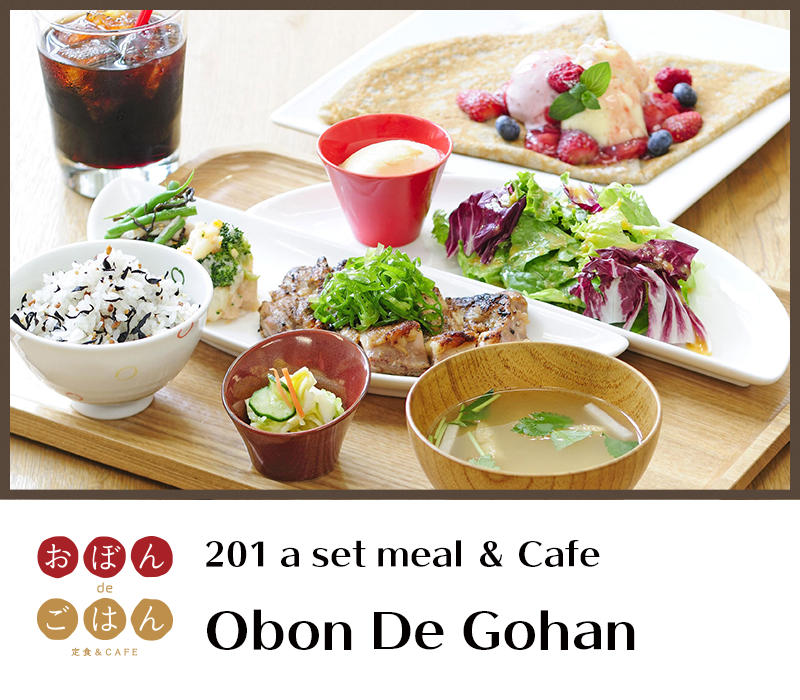 obondegohan 10:00〜23:00(L.O.22:30)Lunch until 15:00 TEL.03-5826-4796 Cafe with a set of well-balanced meal placed on “obon” plate. 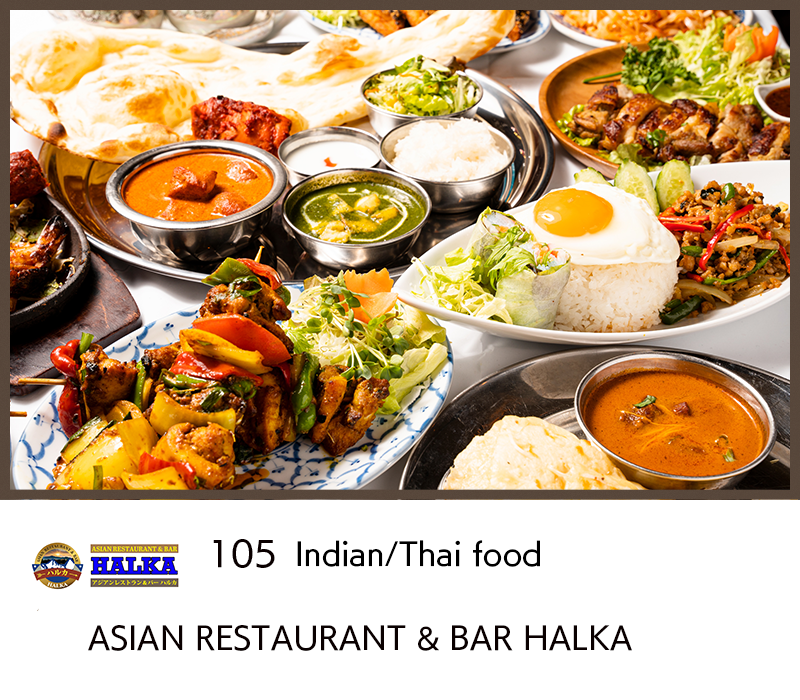 Choose one from over 20 kinds of main dish. 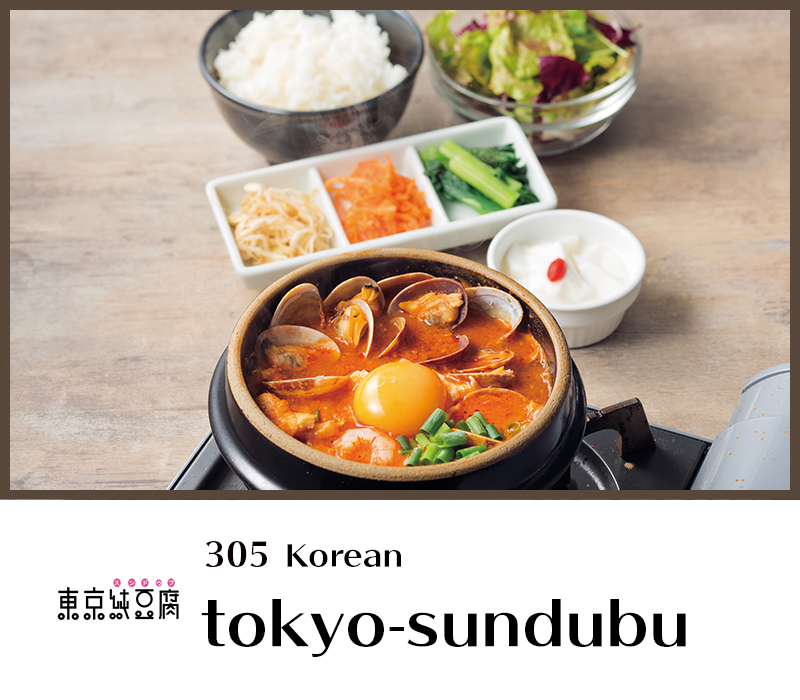 You will want to come back repeatedly for other dishes such as udon and bowls of meal. 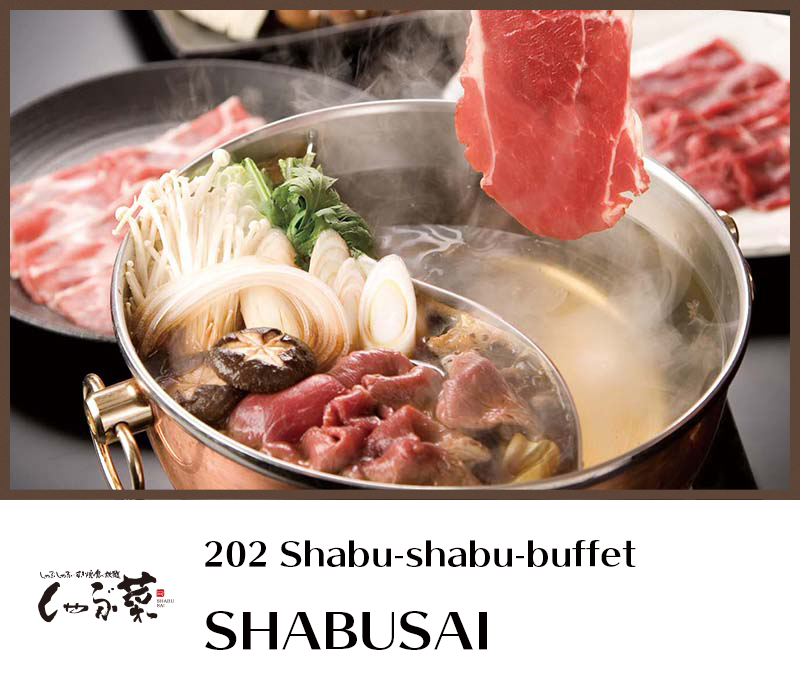 SHABUSAI 11:00〜23:00(L.O.21:30)Lunch until 17:00 TEL.03-5812-3821 All-you-can-eat restaurant with "Shabu-shabu" and "Sukiyaki”. You can freely enjoy beef and pork as much as you want with fresh vegetables from salad bar. 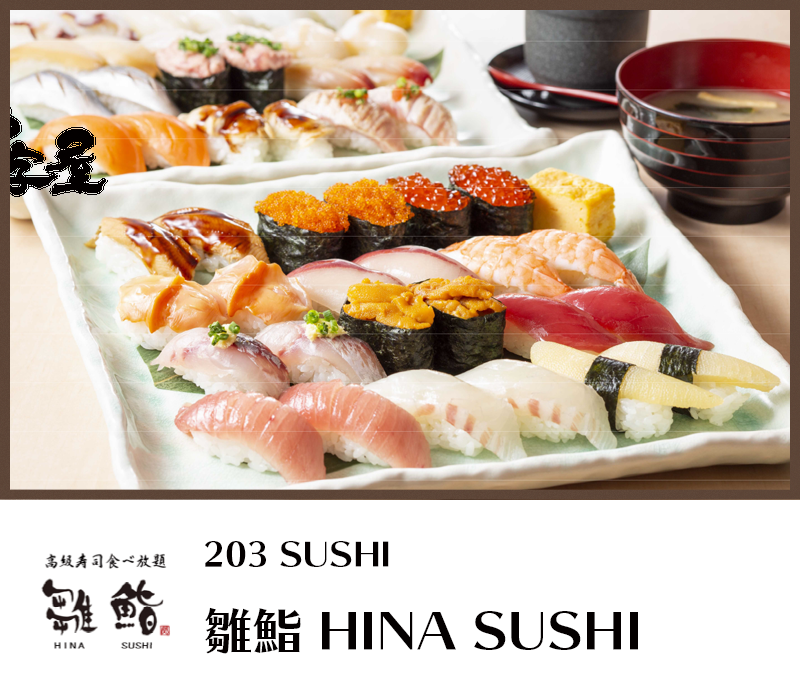 TSUKIJI SUSHISEI 11:00〜23:30(L.O.21:30)Lunch until 16:00 (counterL.O.22:00 table L.O.22:30) TEL.03-5812-1245 Established in 1898, with a head office long supported by many brokers and merchants in Tsukiji area. Please come and enjoy the straight taste of Edo style sushi that constantly seeks for deliciousness and safety. Kotekichi 11:00〜15:00(L.O.14:30)17:00〜23:30(L.O.22:30) Saturdays, Sundays, and holidays 11:00〜23:00(L.O.22:00) TEL.03-5812-7527 Selected dough, special dashi soup, and original source with exquisite sourness. 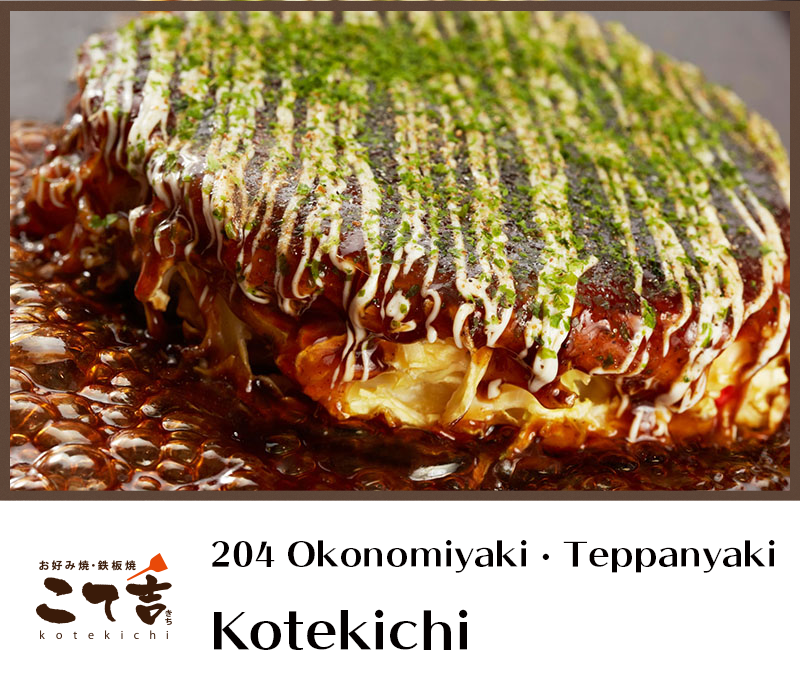 Please enjoy the variety of teppan-yaki with outside crisp and inside nice and soft Kansai style okonomiyaki and beef tongue. 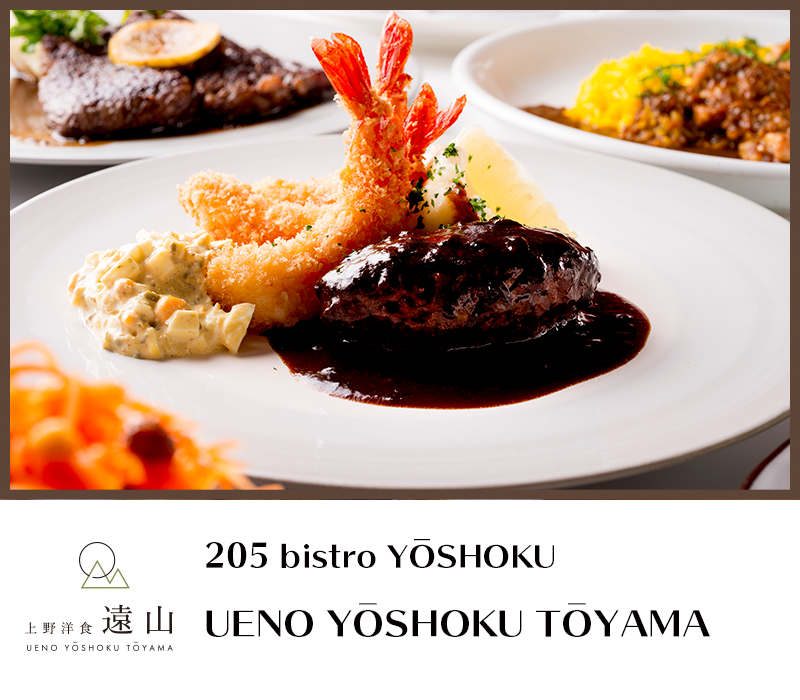 UENO YOSHOKU TOYAMA 【Mon.-Wed.】Lunch 11:00～16:00（Food L.O.15:00) Dinner 18:00～23:00（Food L.O.22:00） Lunch 11:00～14:30（Food L.O.13:30) 【Thu.-Sun.＆Holidays】Cafe time 14:30～17:00（Food L.O.16:00） Dinner 17:00～23:00（Food L.O.22:00） TEL.03-5826-4755 The specialty of this restaurant is Special Demi-glace Hamburg, with which you can enjoy the condensed taste of meat and demi-glace sauce stewed for about a week. Please casually enjoy the bistro western-style meals, in which French technique integrated into western cooking. 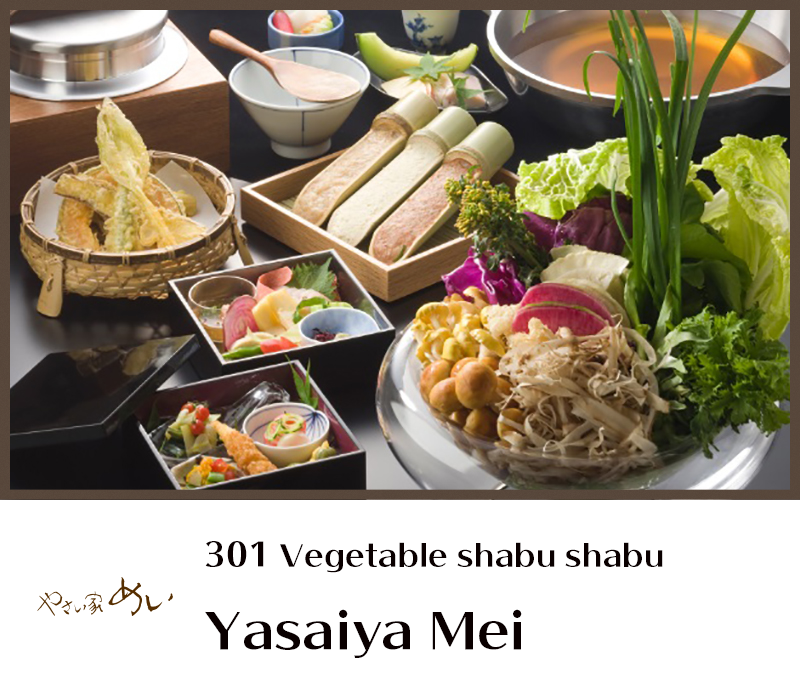 Yasaiya Mei Monday - Friday 11:00〜15:00(L.O.14:30)17:00〜23:00(L.O.22:00) Saturdays, Sundays, and holidays 11:00〜23:00(L.O.22:00)Lunch until 16:00 TEL.03-5812-1461 Please enjoy the dishes from original "Vegetababushabu" with full of vegetables selected by “Farm Evangelist” Mr. Akira Watanabe to farm-born dishes with the wishes of contract farmers nationwide. BAIRAN 11:00〜23:00 (L.O. 22:00) Lunch until 15:00 TEL.03-5826-4701 From homely style to genuine course dishes, we have a rich variety of menu of Chinese food. 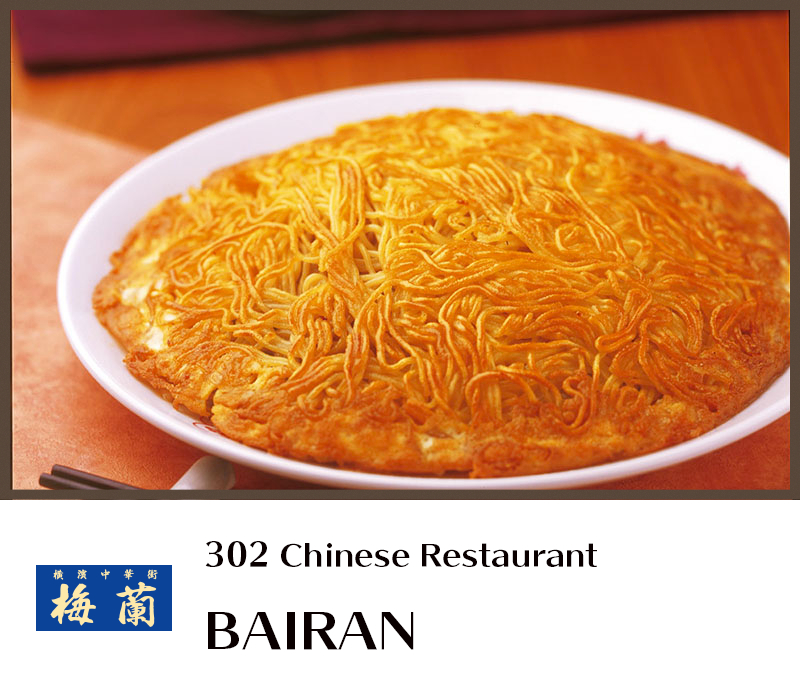 You can eat our specially made Yakisoba only at BAIRAN! 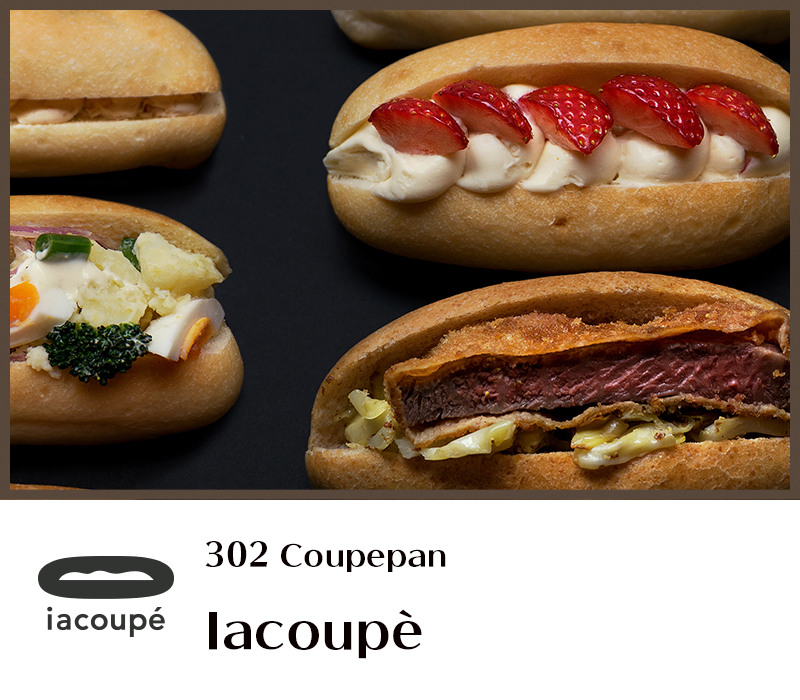 iacoupé 10:00〜20:00 TEL.03-5812-4880 Koppepan specialty store of moist, chewy and selected koppepan bread roll made from homemade yeast by Nishi-Nippori Boulangerie inak!. Assorted Koppepan gift boxes are also available. 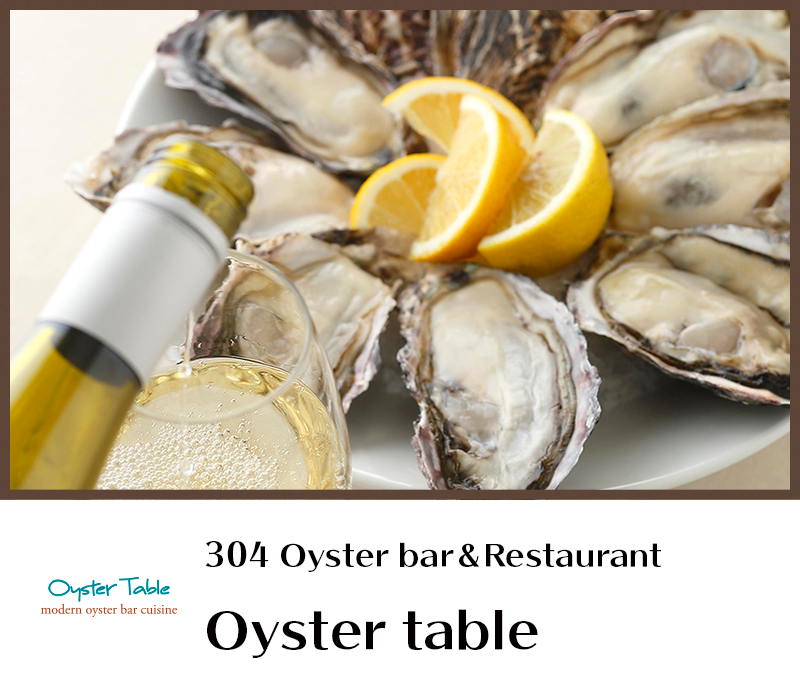 Oyster table 11:00〜23:00 Lunch until 15:00 TEL.03-3836-3637 A casual oyster bar to enjoy oyster dishes and wine. We serve carefully selected raw oysters from all over Japan throughout the year. UDON MIYATAKE 11:00〜23:00 (Food L.O. 22:00 Drink L.O. 22:30)Lunch until 15:00 TEL.03-5812-0570 We serve our special authentic Sanuki Udon noodle of Kagawa Prefecture boiled in a big pot. At night, we also serve famous “Kushiten” teppan-yaki and citrus sudachi gyoza (jiaozi) that match well with beer and highball. 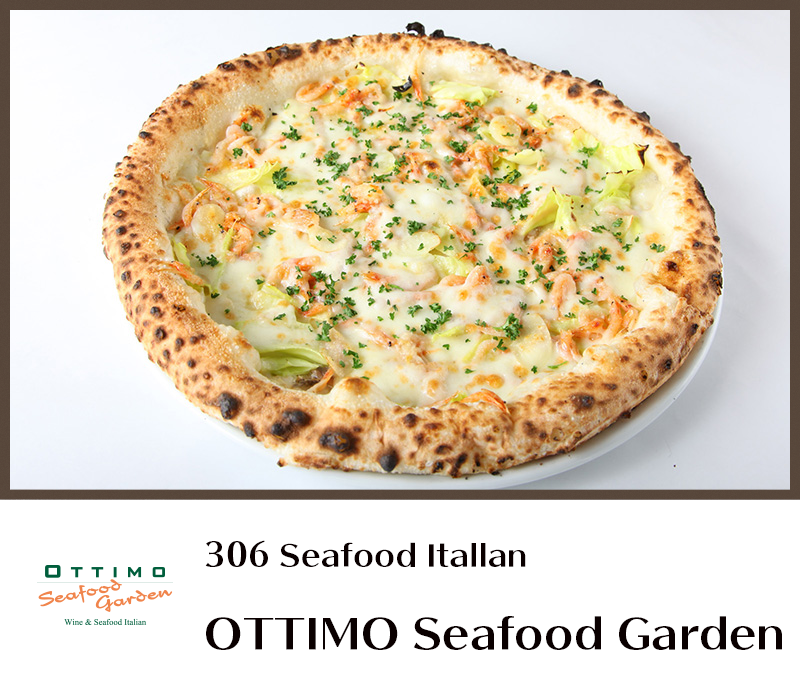 OTTIMO Seafood Garden 11:00〜23:00 (L.O. 22:00)Lunch until 15:30 TEL.03-6803-0701 Seafood casual Italian restaurant where you can enjoy Italian regional cuisine of fresh seasonal seafood. Please enjoy chewy textured pizza and reasonable wine. 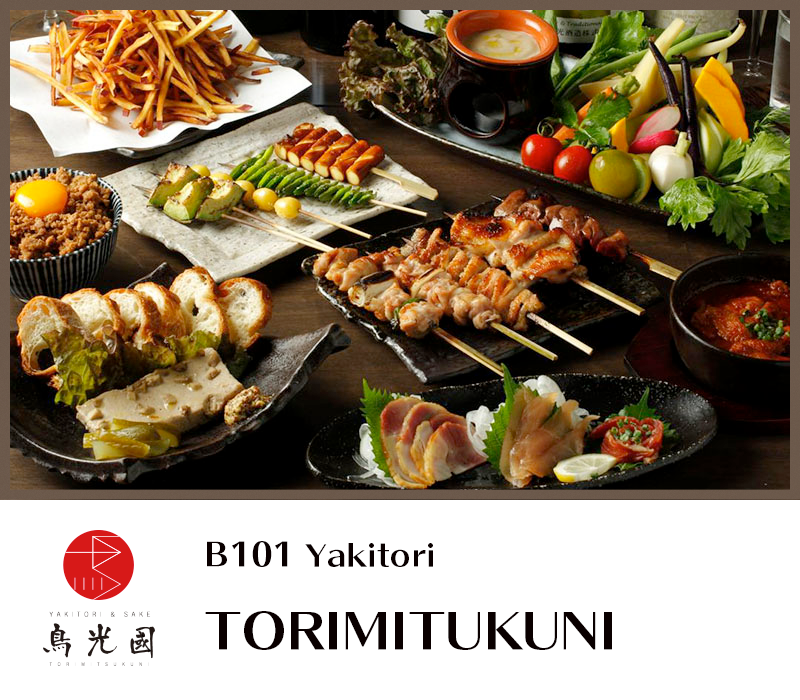 YAKITORI ＆ SAKE Torimitukuni Monday - Friday 11:30〜14:00 (L.O.13:30) 17:00〜23:30(L.O.23:00) Saturdays, Sundays, and holidays 11:30〜14:30(L.O.14:00) 16:30〜23:30(L.O.23:00) TEL.03-5826-4740 Yakitori & Japanese sake bar, collaborating with Tamanoi Brewery in Fushimi, Kyoto, serves traditional yakitori and fresh dishes. Please enjoy the junmai sake with skewered food roasted by professionals and seasonal dishes. Kamakura / Motsumichi Monday - Friday 11:00〜15:00 (L.O.14:30) 17:00〜23:30(L.O.22:30) Saturday 11:00〜23:00(L.O.22:30) Sundays, and holidays 11:00〜23:00(L.O.22:00) [Kamakura]TEL.03-5817-7197 / [Motsumichi]TEL.03-5817-7198 [Kamakura]Please enjoy authentic Japanese cuisine of selected ingredients and dashi soup, such as pork aged in a snow cavern and fresh vegetables, in a snowy magical atmosphere with “kamakura” snow cavern private rooms and elegant dining zone. 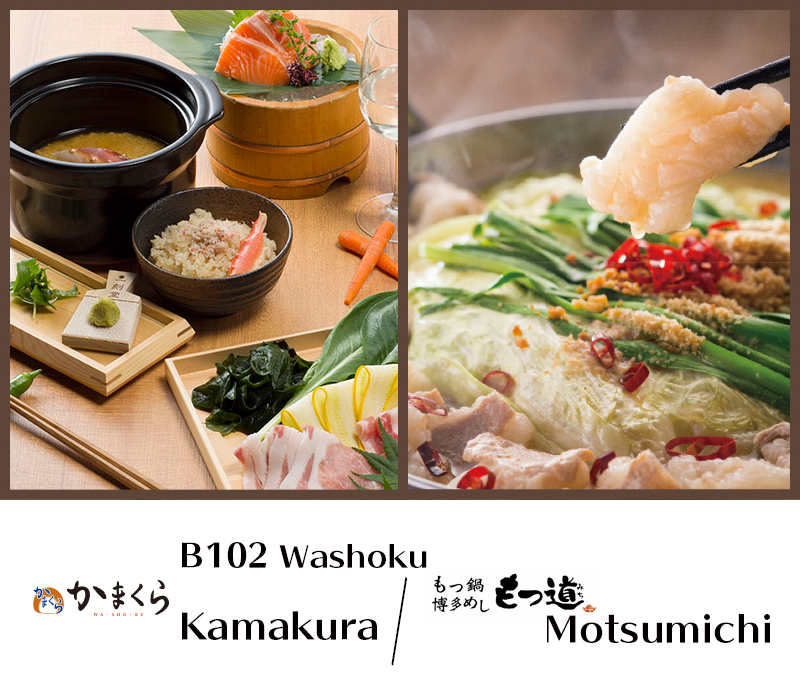 [Motsumichi]With main six kinds of motsu nabe (giblet hotpot) using fresh raw motsu of Japanese black beef, we have local Kyushu dishes including gyoza and raw horse-meat. 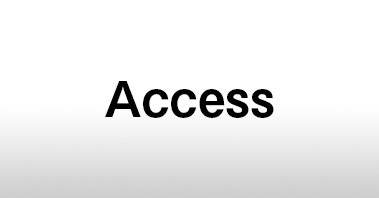 If you click on the store name, we will move to the homepage of each store. 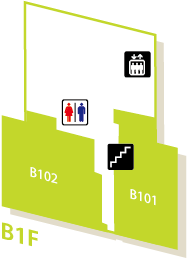 If you go up to the 4th floor of Ueno no Mori Sakura with an escalator, you found yourself standing on the group floor of "Ueno Imperial Park." 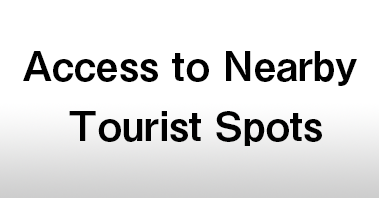 Access to Ueno Zoo, museums and other tourists spots in the park is convenient. 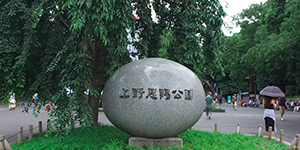 You can walk to the National Museum of Western Art. 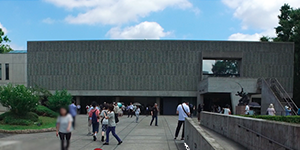 Recognized as “a constituent asset of "Le Corbusier's Architectural Works - Outstanding Contribution to Modern Building Movement”, it was registered as a World Heritage Site in 2016. 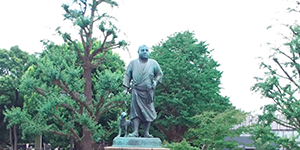 You can access one of the most well-known tourist’ spot in Ueno ”Saigo Takamori Statue" on foot. It is located on the roof floor of Ueno no Mori Sakura Terrace. “Ueno Shochiku Department Store” which had been loved by many people for a half-century was located here. 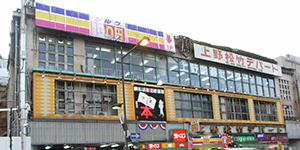 Its Showa style building was popular, but because of its deterioration, the building made a fresh start as a brand new commercial building as “Ueno no Mori Sakura Terrace” on April 26th, 2014. 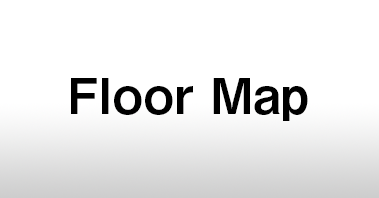 The building of 4 tories above ground and one-story basement holds 19 shops and restaurants. 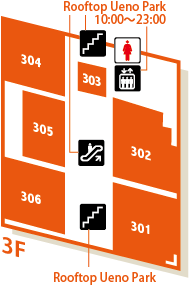 There is no parking lot in the building of Ueno no Mori Sakura Terrace. 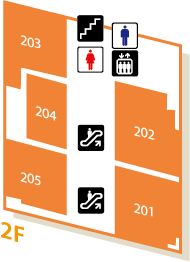 Please use the parking lots nearby. 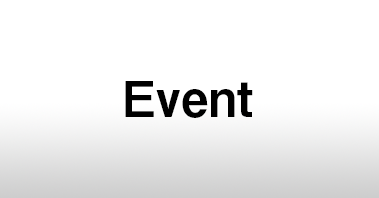 We will notify you as soon as event information is decided. We will inform you as soon as we receive notice from the store. 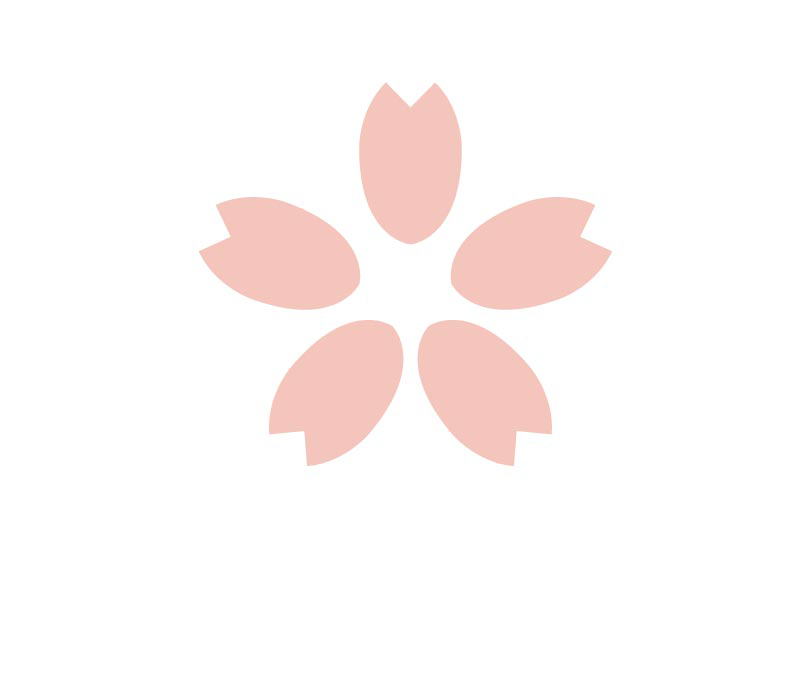 A project for women to have a happy life in Japan. 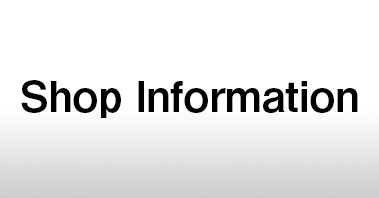 The radio program and YouTube channel “Happinana” deliver various useful information for women. 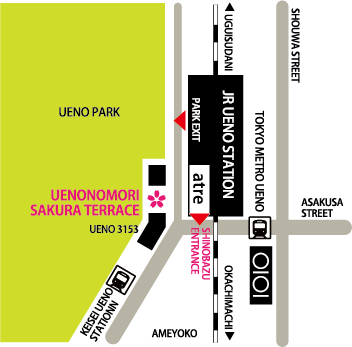 Copyright Ueno no Mori Sakura Terrace All rights reserved.